This year at the PLA there was a big emphasis surrounding branding and customization- this is what Great River Arts excels at! Our products are both promotional and interpretive! If you have a special shop that celebrates your area your customer very likely drove some distance to shop with you. They are looking for a meaningful gift, something memorable and distinctive that celebrates your area. They want your branding on the map- and they want a little story on the back! Please notice our prominent cartouches on the maps. With a purchase order of 35 or more pieces we can feature you logo will be featured in the title of the map. 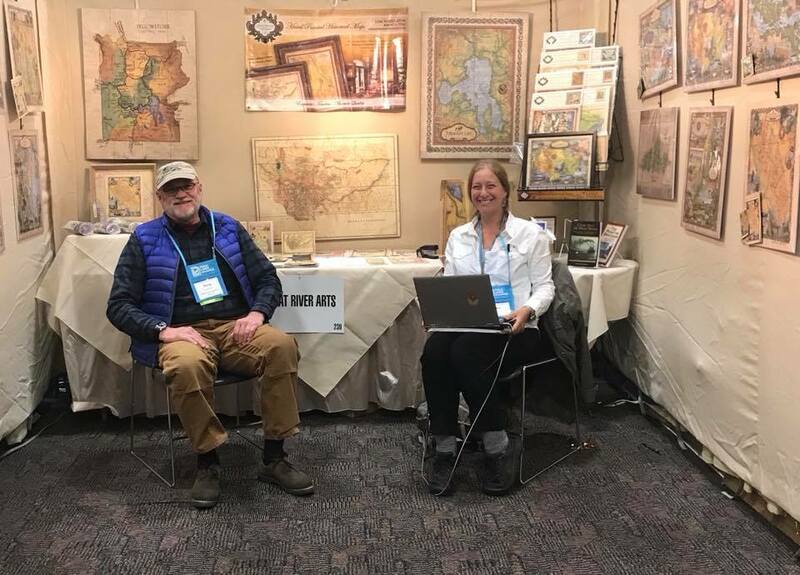 When the customer frames the map and hangs it up in their home or office, your brand- not just the destination will connect with your customer every day. 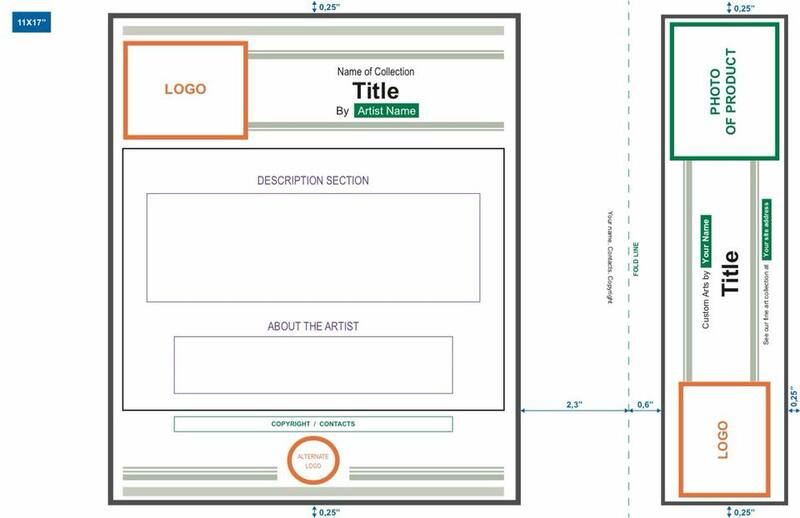 Please take a look at our label template below and note all the space for your branding and interpretive message on the logo! It would be our pleasure to personalize the maps so they are your maps. GRA can minimize their branding by reducing the copyright statement to tiny font, giving more space to your brand. -Our products are promotional AND interpretive! -The interpretive messages have already been written and are ready for your approval! Let us know if we can send some sample prints out for your shop to review, or if you’d like us to be directly in touch with the rangers. We would love to serve you and help you promote your brand and region with our beautiful map art. What can we do to work together? Are you interested in starting with magnets, note cards, or 11×14’s? Is there anything we can we do to help with the approval process? ← Help your customers design their own maps!